Chinese New Year is approaching! 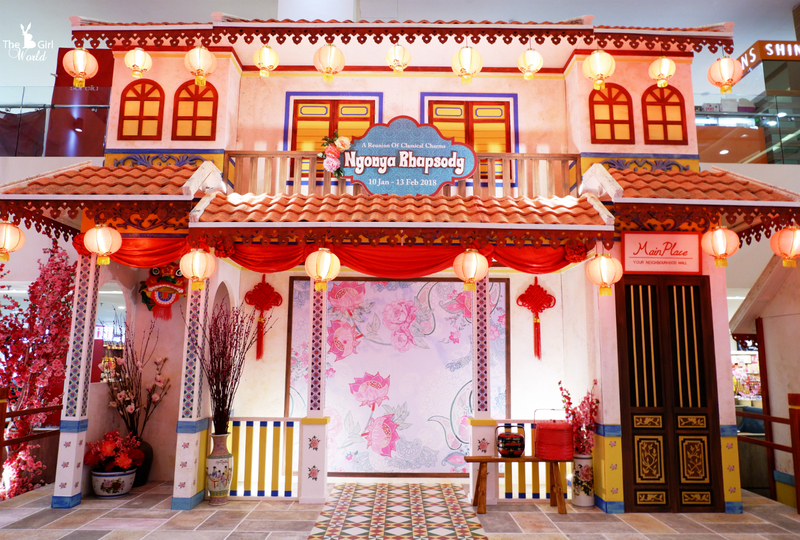 Main Place Mall in USJ 21 is honoured to bring you the aptly yhrmrf 'Nyonya Rhapsody- A Reunion Of Classical Charms' that embodies the classical charms of Baba Nyonya culture from 10 January till 13 February 2018. 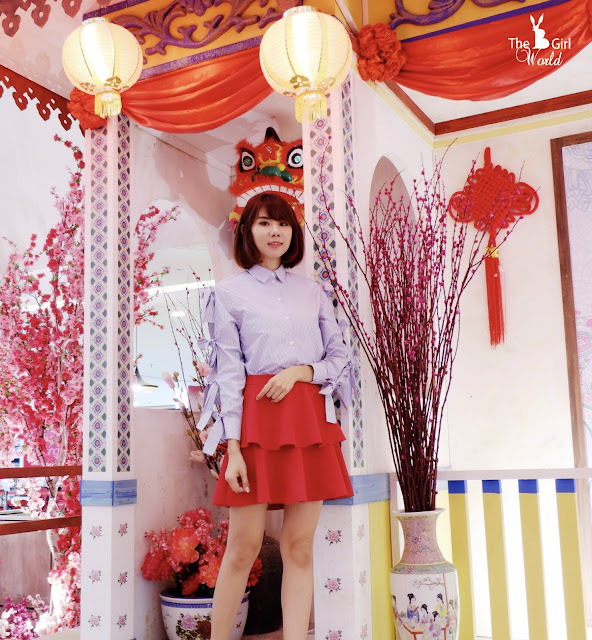 Treat your senses to all the splendours of Baba Nyonya culture this CNY as you reminisce and set your sights on the decor that epitomize the joyous and cultural ambience as you stroll along the concourse. 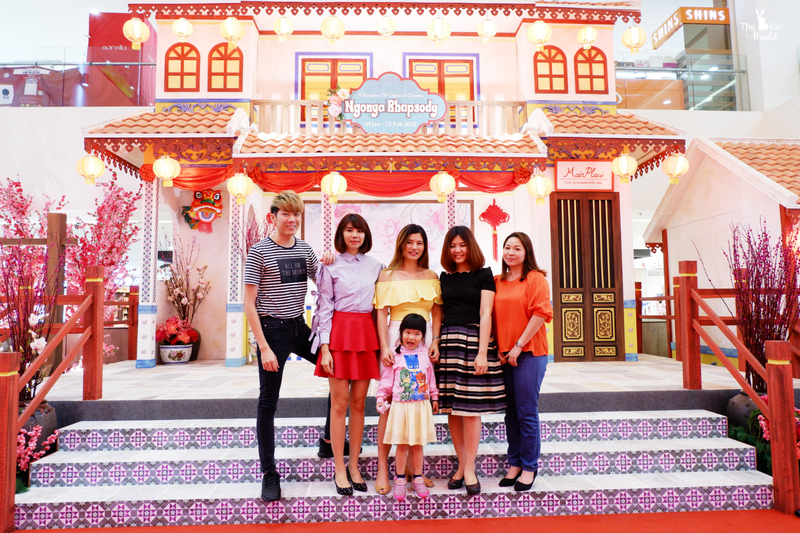 “This year, we want shoppers to have a warm and memorable experience with us through our 'Nyonya Rhapsody' theme as they catch an authentic glimpse of Baba Nyonya culture and heritage, artistic and cultural charms of Baba Nyonya to retain its legacy,” said Main Place Mall Management Director Ms. Woo May Foong. Thanks for having me to the Chinese New Year luncheon at Absolute Thai. 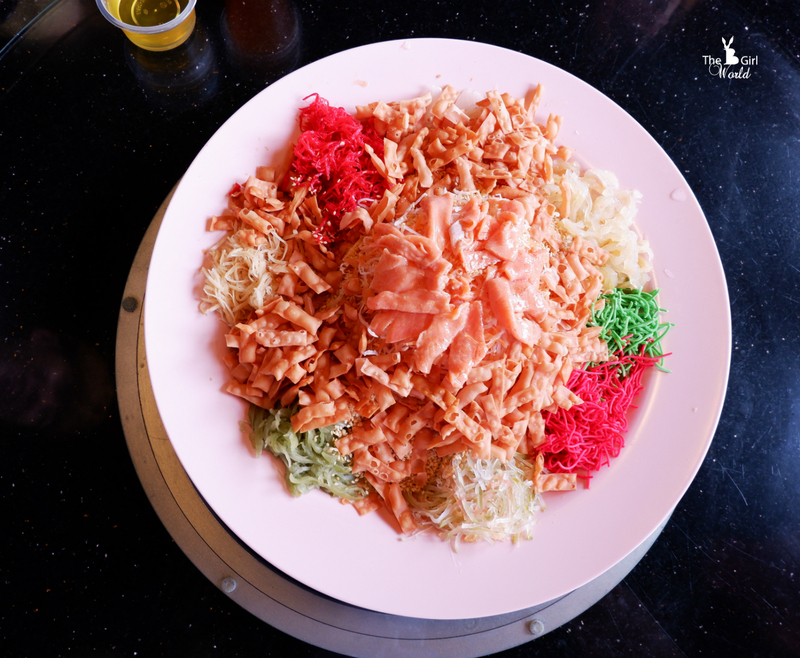 We had a wonderful moment and delicious foods with our blogger friends and management from Main Place Mall. 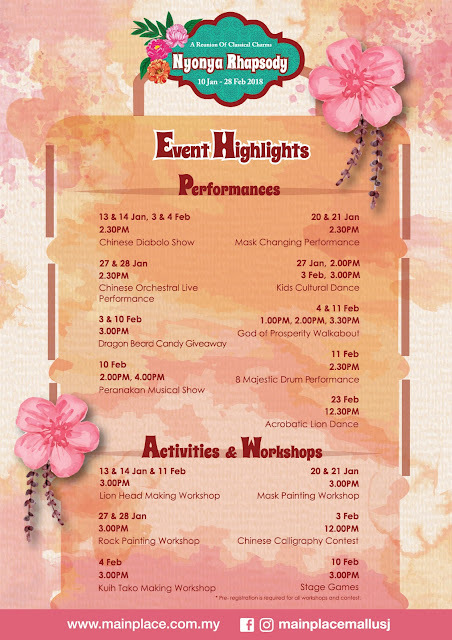 Ramping up the excitement will be an array of performances lined up to entertain the crowds such as Chinese Diabolo, Chinese Mask Changing, Kids Cultural Dance, Peranakan Musical Show and 8 Majestic Drum. Chinese New Year Prosperous Spending Contest whereby the highest spenders are rewarded weekly with amazing prizes. In conjunction with the Chinese New Year celebration, Main Place Mall will be bringing happiness and fortune to the residence of Sri Sayang Welfare Home at Taman Desa Kelisa, Ulu Yam Bharu. This is a non-government organization that provides shelter and care for the aged and handicapped. This home has 54 inmates ranging from 7 to 86 years old. 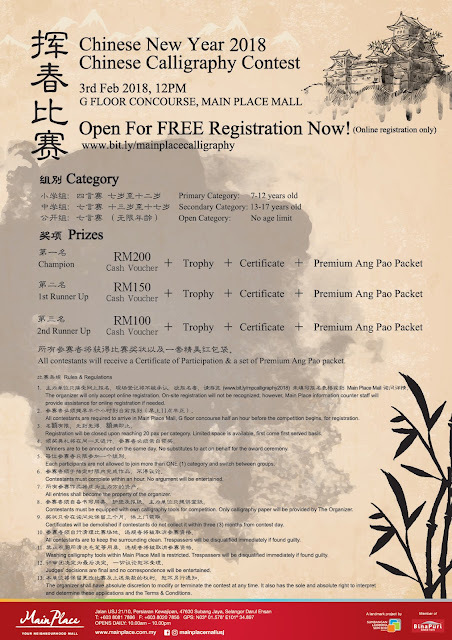 Main Place Mall will decorating the home with Chinese New Year decorations to lift up their festive spirits and preparing some fun-filled activities such as a hearty lunch, Tai Chi session, appearance of God of Fortune to distribute ang pao and mandarin oranges, exciting performances and endless chatters with the management of Main Place Mall. 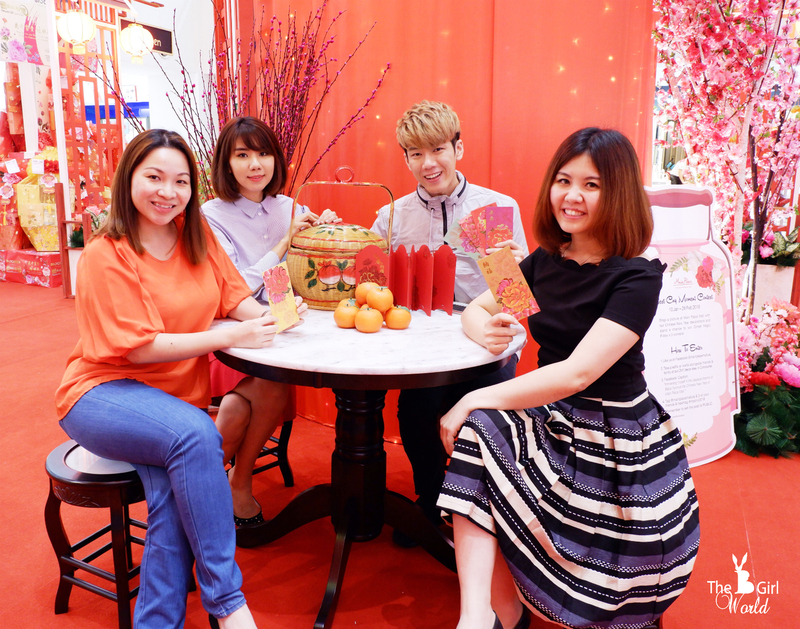 Grab the premium 6 pieces ang pao packets with each of it being individually distinct with different Nyonya design and vibrant colors, if you spend RM 250 or more (on the same day, maximum of 2 combined receipts) at Main Place Mall. 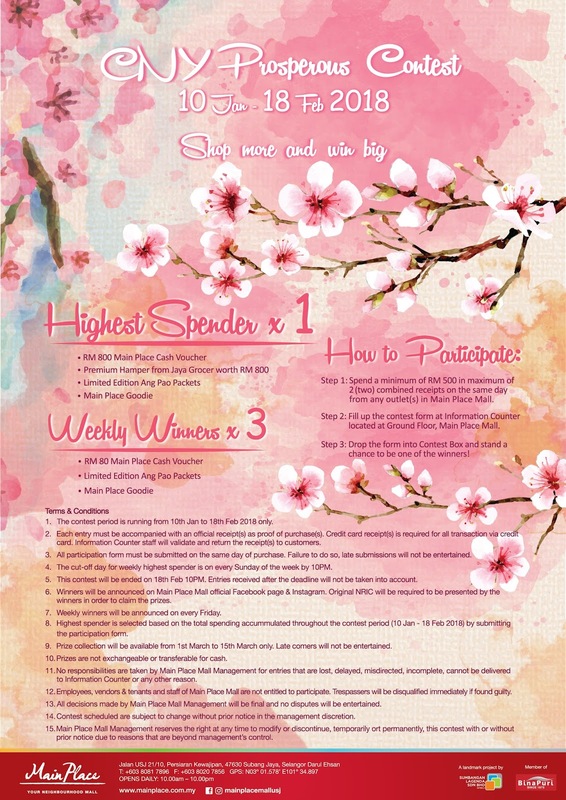 Redemption is limited to 100 packets daily with T&C apply, available from 10th Jan to 13th Feb (while stocks last). 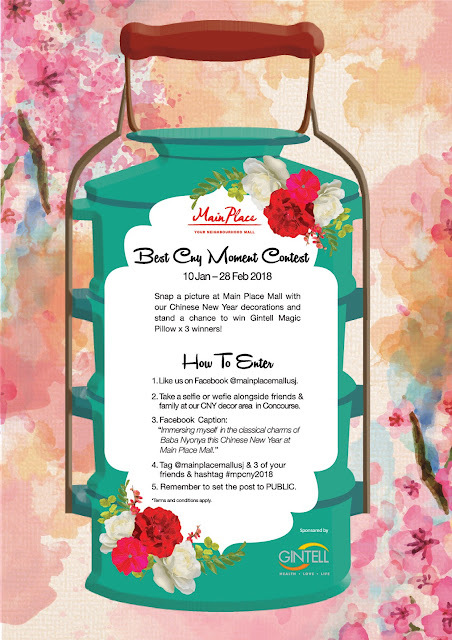 For more information and the latest updates, please check via Main Place Mall’s Facebook page and Instagram account.